Are you waiting for the summer to "dig in" to the blogging world? I've got a couple of tips to help you start your blogging journey. That's right. Who are you? Where are you from? What do you like to do? What grade/subject area do you teach? What's important to you? or stepping into their lives. Like a great book, you want to laugh, cry, shout and smile with the author. When I don't feel that connection, I gloss over the information to find what I need and move on. I don't revisit. And I definitely don't comment. 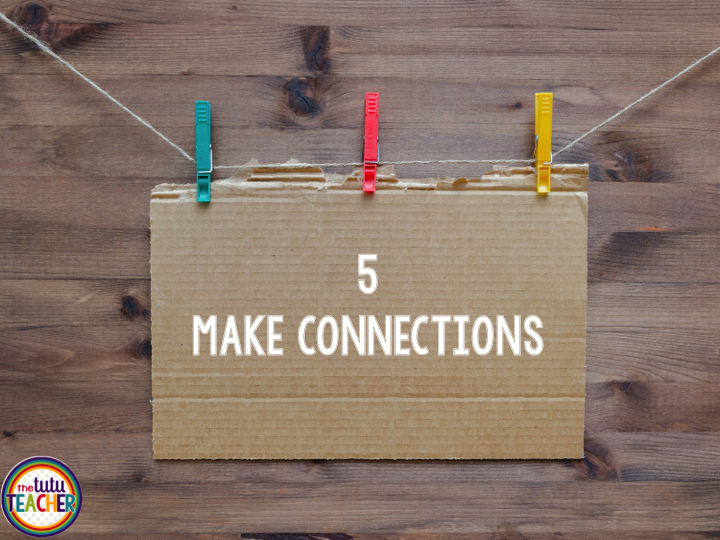 I am guilty of not personalizing my posts, of not letting the reader make a connection to me and my classroom. and express that in your posts. I want to know why a lesson went really well. I want to know about the amazing vacation you had. I don't want see pictures of all the products you've ever created and why I should buy them. Have you figured out who you are yet? Now, make a name for yourself. I mean this in the most literal sense. Think about who you are and what your interested in and let that drive your name. Your name will become your brand. It will be the way people associate your blog with you. Teachers have been making blogs and creating names for themselves for awhile now. 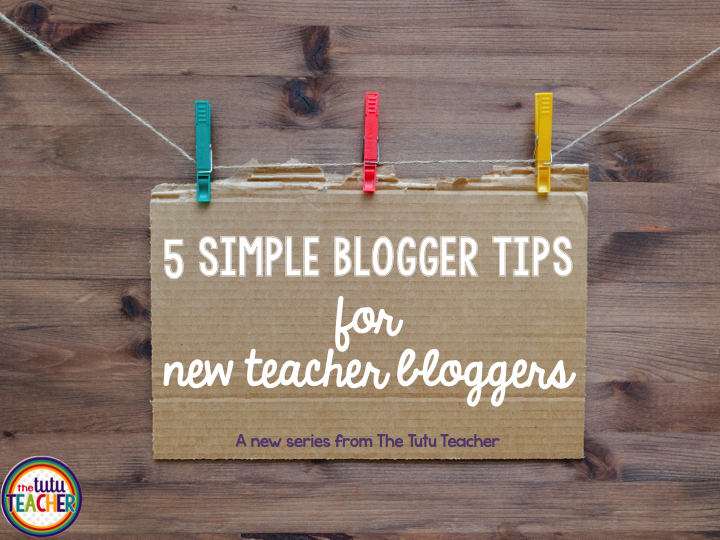 There are many established teacher blogs. 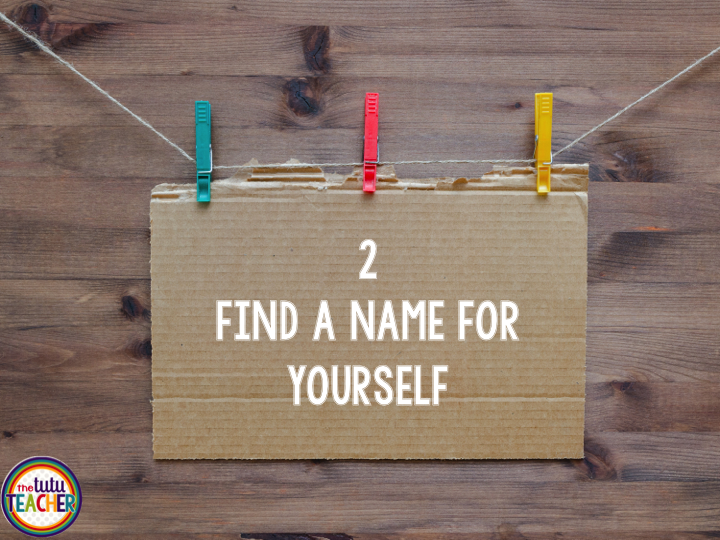 You don't want to risk taking someone's name by mistake. Google search your ideas before you try to establish your brand. Let's say you like cupcakes and teaching. A Cupcake for the Teacher is already taken. Let's say you write lessons plans and enjoy coffee. Lessons with Coffee is already taken. Maybe you're a teacher...and you really like wearing tutus. But you see my point? Teacher bloggers work really hard to establish their names. It isn't fair to take their name or a name that is very similar to theirs, and claim it as your own. Be creative, be original, be you. But do your research first. Now that you know who you are and have found a name, start writing. Start writing and don't stop. Don't feel like you have to post everyday or even every other day, but you do need to keep at it. 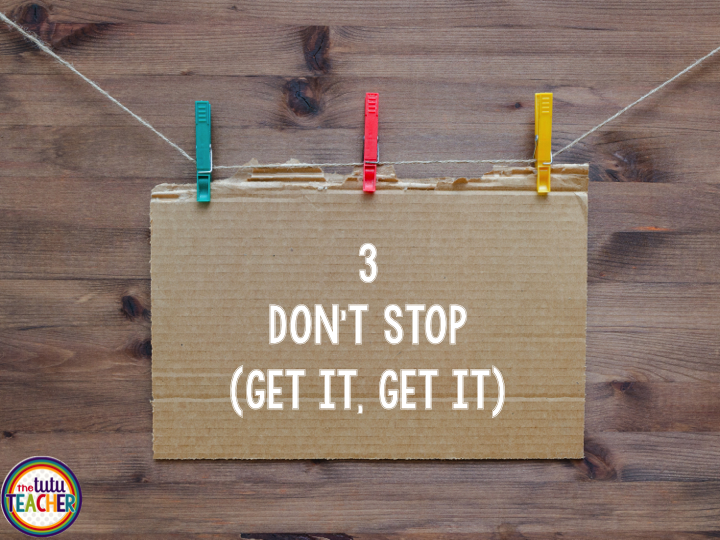 There will be days when no one looks at your blog. There will be days when no one leaves a comment. If you stop, then who will read your posts? You can't stop posting, even when it seems like no one cares. Promote yourself on Pinterest, Instagram, and Facebook. Let people know who you are and that you've got some great ideas. Some days no one will look at your blog. Most days no one will comment. A lot of days you will feel like a small fish swimming in a huge ocean of teacher bloggers. And the truth is... you are. You are a small fish in a big sea. One day, someone will read your post. They'll email your link to a friend. They'll like your Facebook page. And suddenly you're not so small. But there are days when you will definitely feel small. You will think having a blog is pointless. And you may want to give up. After some time, you'll be a natural blogger. You'll find topics to blog about on a regular basis. You'll make readers come back to read more because you are AWESOME! Having a blog will start to feel like a breeze. Something magical happens in this teacher blogger world. Teacher bloggers are some of the best people in the world. They will support you in the best and worst of times. They lift you up and make you feel special. You will belong to a world that only you and your teacher blogger comrades will understand. And the best thing is, you will almost NEVER meet them. These "strangers" have your back without ever really seeing your real back! It's life changing and it is truly wonderful. But it doesn't happen on it's own. You have to make the magic happen. Join teacher blogging groups on Facebook. Comment on other bloggers posts. Join Instagram and go crazy with comments and likes. Make an effort to befriend some of the best people in the world. I hope these simple tips help. I wish you the best as you make your journey into the world of blogging! Do you have some additional tips to share? Leave your tip in the comments. Yay! Amy I am so happy that this helped you feel not so alone. It is TOUGH work in this blogging world and sometimes we just have to acknowledge that things stink sometimes. Please leave your blog info so I can be sure to check you out! WOW! Thanks for the great tips. I also feel like that small fish in the big sea and it was refreshing to know I am not alone. This blogging community is pretty amazing and I love the connections I have made so far. Thanks again! Thank you so much for this post! I'm thinking about starting a blog next year so my parents can get updates on what we are doing in the classroom, but I also want to share some ideas I have with other teachers. I am bookmarking this post because I know there might be times where I feel down about my blog and you make some great points! Great tips! Blogging is hard work, but it is also so fun and rewarding! Thank you so much Vera for this post! It can get very overwhelming when you're just starting out in this blogging world. It's nice to hear from people who have been in the same position and can offer great advice! 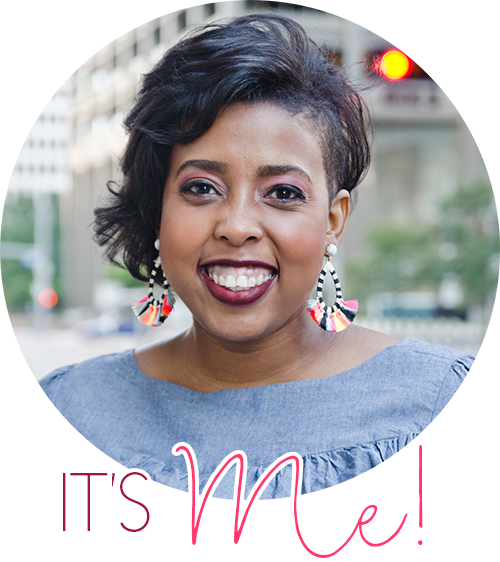 I never know how much is too much to share about myself and my personal life as opposed to teaching tips, classroom happenings, and product posts. I have to remember the purpose is to connect with readers by forming my own voice, thank you for the reminder! I'll be back to your blog for more great tips =) have a great rest of your weekend! Thank you for the tips Vera!!!! (I have to tell you that I love your name!!! 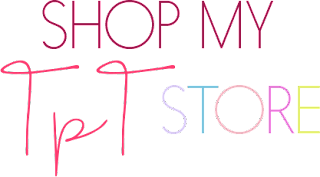 It was my mom's name and you don't see it that often:-) I started a blog... didn't know where I was going... found a focus... and have started to post each week... still working on my store and Pinterest! I am retired..but a very busy person! I will try to post more often! I loved your post and I know I'm probably the tiniest fish in the sea right about now. I've got 2 blog posts posted and so far, that's it! :) But I'll keep swimming! Just keep swimming! :) Great post, Vera! So many great truths in your post. Thanks for this post Vera! My blog design is in the works right now and I am beyond excited and terrified at the same time!!! Thank you for these tips!!! This was such a great post! Although I am not technically a "new blogger" I do tend to neglect my little blog for many of the reasons you mention, including the "small fish in a big pond" syndrome. I have recently started up again, and this post came at the perfect time. Thanks for boosting blogger morale! LOVE this post, Gets!!! Almost as much as I love you!!! Encouraging post. Thanks. I like your style! Great tip about doing your research, too - there are a LOT of names already taken! These are great tips! This August marks my one year blog birthday (is that a thing?) and I really enjoyed reading these tips. One thing that I don't know if I have worked out is my "name." I am so indecisive and crave change that it was really hard for me to pick a solid brand name, which is why I went with "Mrs. Dailey's Classroom." I am getting my blog redone in September, so I am really struggling to decide if I should change my name to be cutesy or not! Decisions, decisions! !